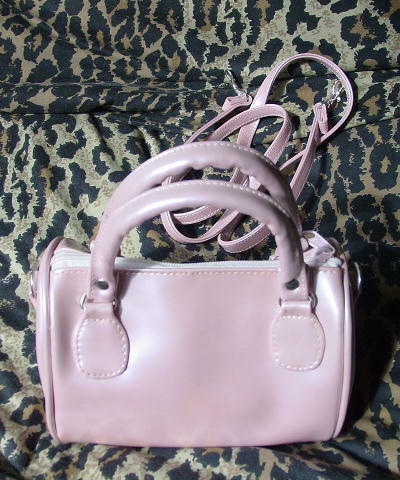 This late '80s pearlized pink vinyl purse has a detachable 45 3/4" long by 1/2" wide shoulder strap which attaches to the silver-tone metal loop on each side. 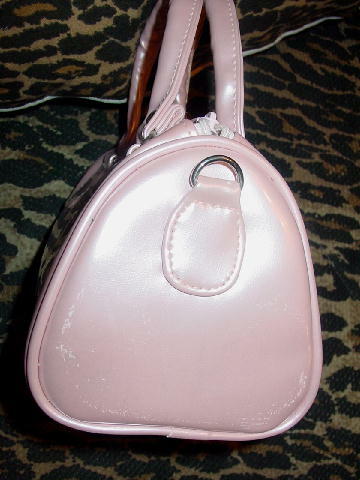 There is a top zipper with a gauzy fabric lining which has some age spots on it. It also has two hand straps. There are some white marks on one side.